We'll be sending our best run good vibes across the Atlantic later tonight as Bluff Europe's very own strategy guru Dara O'Kearney battles for World Series of Poker glory. Only American Upeshka Desilva stands in the way of Doke claiming his maiden WSOP bracelet in the $1,500 No Limit Hold'em event. The Irishman will have to overturn a hefty deficit if he's to win the title though. 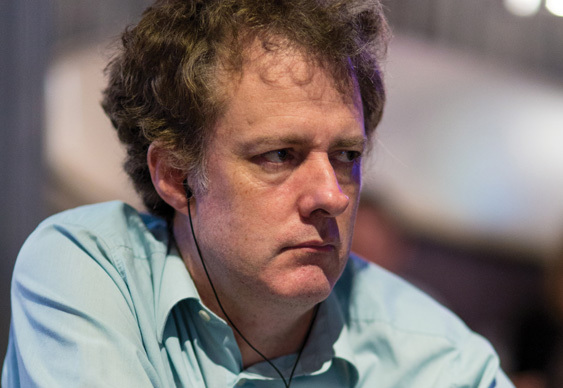 He'll start Thursday's heads-up finale with a stack of 2,180,000, well behind Desilva's 10,250,000. O'Kearney was low on chips for much of the day but played his short stack beautifully to work his way up the ladder. The match was scheduled to finish overnight but with the clock approaching 2am both players agreed to call it a night and will return at 1pm local (9pm UK time) to battle it out for the bracelet and the $424,577 first prize.